Replacement exterior doors are just meant to provide security to your homes, but they also work towards improving the aesthetics of your home. Moreover they serve as the focal point of your home that people notice when they first approach your home. Keeping in mind all of these factors, it is important to choose your entry doors carefully such that it reflects your status, personality, taste and preference. This article gives an insight into the factors to be taken into consideration when choosing the exterior doors for your homes. Easy access: This is one of the primary factors to be taken into account when planning to buy new replacement exterior doors. Apart from things like door knobs and handles, the design, texture, and the size of your front door matters a lot. As a homeowner you would always want to have a front door that’s wide enough to fit in that new kitchen stove or your king size bed or even the new wardrobe unit. So when buying new exterior doors ensure that it gives easy access to your home interiors. Also make sure that they are in proper running condition with no technical glitches or structural problems, faulty installations etc. Door material and style: With a plethora of door designs, materials and styles available on the market, choosing the right replacement exterior doors often turns out to be a daunting task. There are wooden doors, aluminum doors, fiberglass doors, steel doors and so on and so forth. Of all the other options available, fiberglass doors are becoming increasingly popular these days as they are not only durable but are also energy efficient, affordable, available in variety of colors, designs and styles and most importantly, require zero or no maintenance. On the other hand, steel doors are also reasonably priced and resilient, but they require higher maintenance as compared to the fiberglass ones. And speaking about wooden doors, although these doors are unique, customizable and available in a number of colors and designs, but they are costly, require greater maintenance and are also known to wear off with time. 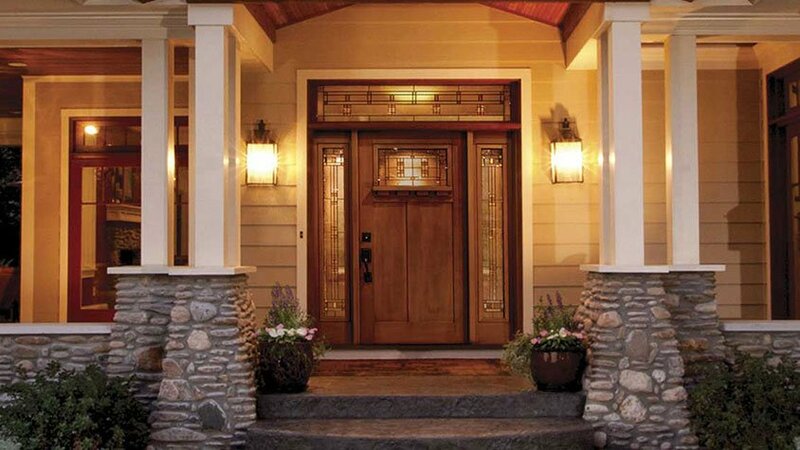 So make sure to select the right exterior door for your homes. Security and privacy: Keeping your homes safe from intruders and maintaining utmost privacy is a necessity these days. So when installing replacement exterior doors, check that the door has the power to resist all sorts of security threats. For better privacy and higher security entry doors made of composite materials or the modern style insulated steel doors are the best. They are not only tough and durable, but ensure complete security from intruders and leave no option for outsiders to peep inside your homes. Matching the design and structure of your house: Since replacement exterior doors reflect your taste, personality, charm and the architectural beauty of your house, so it is important to choose a door that blends well with the colors and structural design of your home interiors as well as exteriors so as to make it all the more reflective and prominent. Apart from these factors, when buying exterior doors, you should also make sure that you choose the right door installation company. Ensure that the company you choose can give you the best expert advice in all of these areas and more. Check out the company profile, ensure that they are tried and true, that they stand behind the products and services they offer, they have an impressive number of satisfied customers etc.